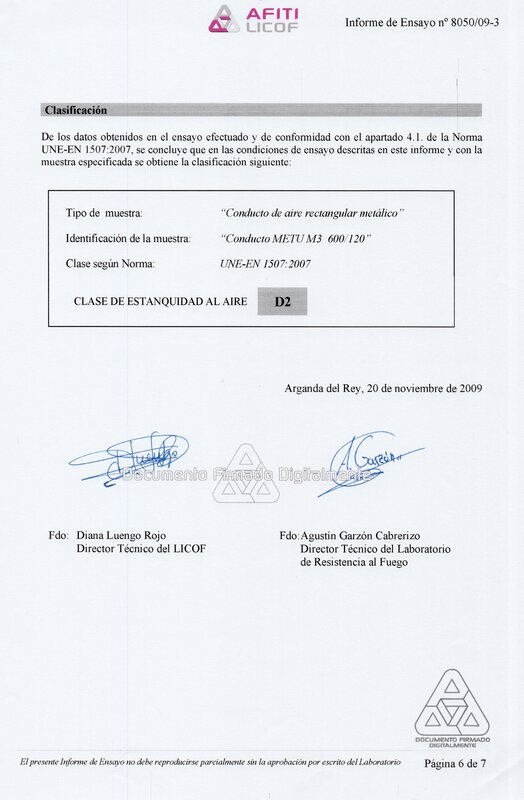 Air Mecon, S.A. is a family business located in Sabadell and founded in 1984. Our company designs, manufactures and installs machines and components for air conditioning, industrial ventilation and humidification. .
We have the latest technology and the most up-to-date means of production which ensure a high degree of quality of all our products. Our technical office's professional advice can help you to resolve your doubts and achieve optimal solutions for your projects and your clients' ones. 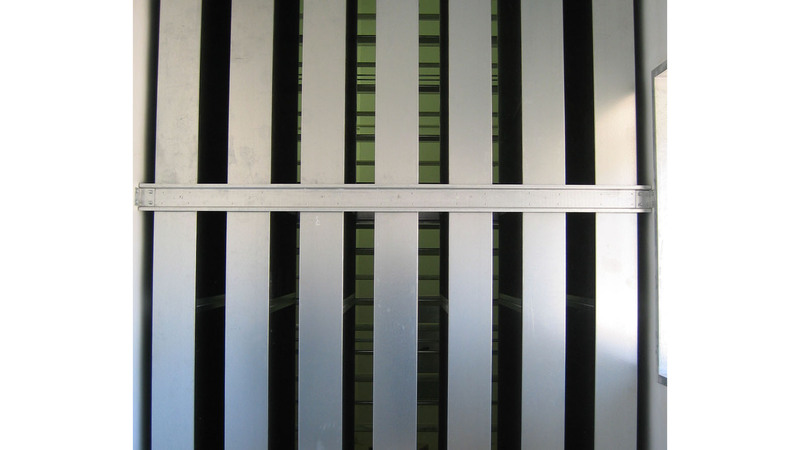 As we have our own workshop, we can manufacture an extensive range of rectangular ducts built according to the needs of our customers in sheet iron, galvanized, stainless, aluminium or plastic sheet. 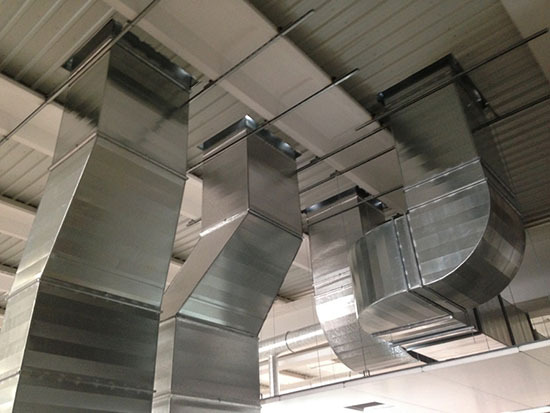 We use joints between METU ductwork to ensure all parts are well assembled. 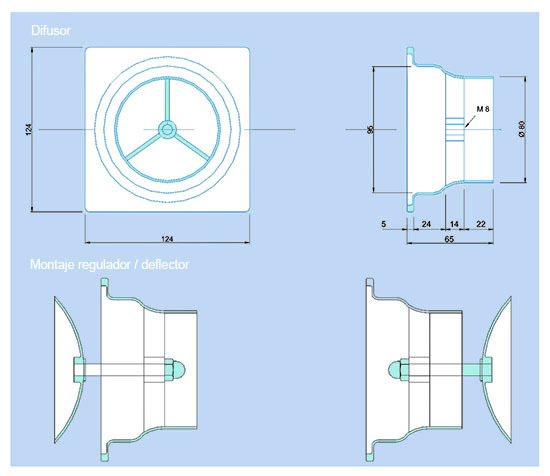 Our manufacturing system is compliant with European quality standards and related Spanish ones such as UNE-EN 1505, 1506 and 1507:2007 which recommend standardized thicknesses, appropriate resistances to pressure, speed of air transportation, types of mountings and homologated seals for duct manufacturing. 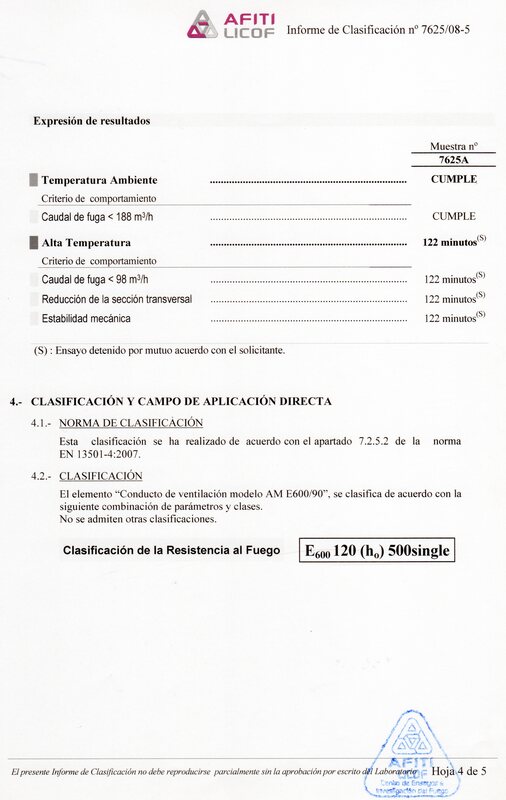 We have also obtained LGAI (400°/2 hours) and AFITI (E600/90) tests and ratings of fire resistance. 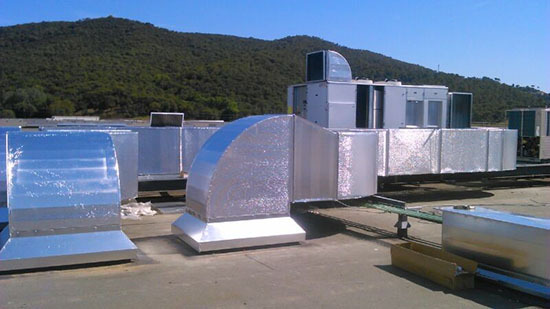 Round ducts can be constructed in galvanized steel, stainless steel, laminated sheet, aluminium and polished sheet. We work with standard diameters, helical tube, tube with longitudinal METU joints, tube with joint sections and pieces with sheet metal profile; watertight round ducts with thicknesses from 2 to 4 mm and joints with plates. We have pieces and accessories such as: straight pipes of various diameters and lengths, elbows, reductions, tees, hoppers, grafts... In addition, we have at our disposal installation items and METU round duct connections. We can assemble the insulation at our workshop or at the construction site if requested by the customer. Our mufflers include the number of cells required to reduce the noise level, using absorbent materials of noise such as rock wool and glass fibre. 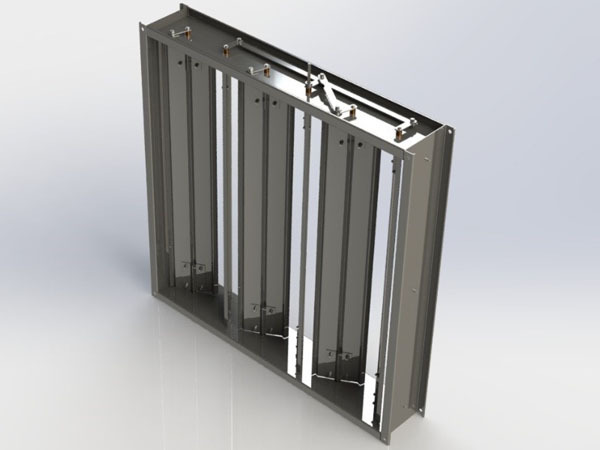 They can be coated in enclosures of stainless or galvanized plate. 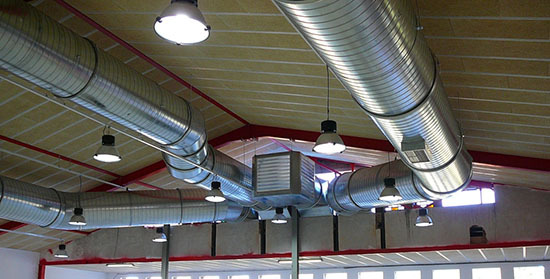 Mufflers can be attached to ducts or buildings. 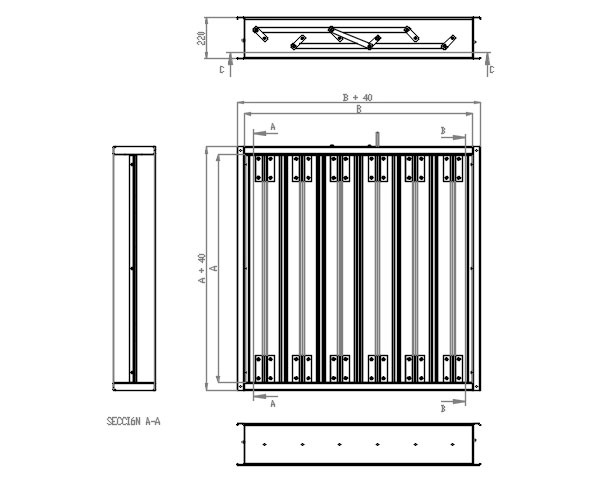 Having many years of experience working on industrial installations, Air Mecon has refined a system of sluice gates designed to be installed in spaces where work is carried out under unfavourable conditions. This range of valves has been designed to withstand adverse environments, high temperatures and other factory hazards. Our steel manufacturing, alongside materials of different hardness, has been tested in all types of environments giving an excellent result. We manufacture the floodgates tailored to the needs of our customers. Normally A by B of 100 in 100 mm and 220 mm high. Frames of 40 mm. Air valves standard manufacturing is carried out with brass bushes. Valves can incorporate manual adjustment handles or asparagus 10 x 10 mm for actuator installation. They have been designed to pump air at unusually high speed. Due to its aerodynamic design, we obtain a longer air range with minor pressure loss. 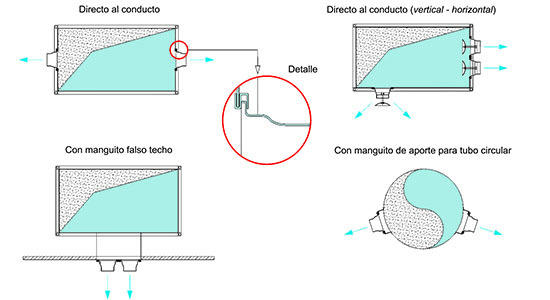 Diffusers are made of plastic to minimize air friction. Its modular system and valve-diffuser offer endless possibilities both in air outlet and flow regulation. They can be installed in rectangular and circular ducts. Its design allows us to assemble either a single, double or triple row of pieces.